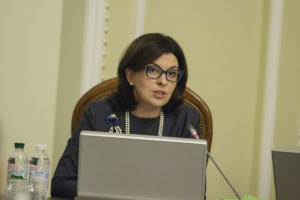 Commenting on the President’s dismissing of Oleh Hladkovskyi from the post of First Deputy Secretary of the National Security and Defence Council, Oksana Syroyid, Deputy Speaker of the Verkhovna Rada, said that changing names would not influence the glaring situation with the theft in the Ukrainian defence sector. The politician explains, “Petro Poroshenko knows everything that happens in “Ukroboronprom”. I am convinced that he counts every single hryvnia there. Unfortunately, we are now witnessing how a criminal group, which profits from the defence budget, is operating in the time of war in Ukraine. Ukrainians are the only ones who can change the situation at the elections, because now no one has any real influence on the President’s actions. First of all, the head of the state remains above the law for the duration of his term in office. Indeed, there is not a single person or organization to which he is accountable. 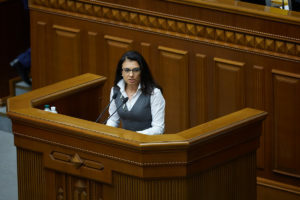 Secondly, the procedure of the President’s impeachment, which is so often referred to by some Ukrainian politicians, is impracticable because the procedure is spelt out in such a way that it cannot be implemented. 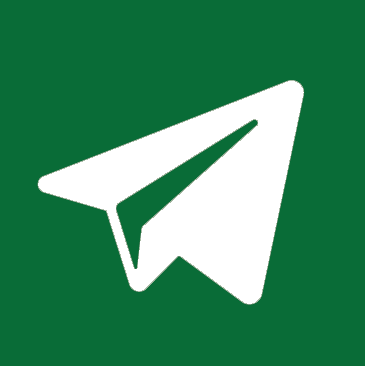 “This is a stillborn regulation that was spelt out in such a way as to rule out the impeachment of president Kuchma. 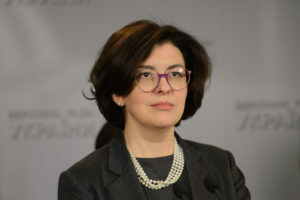 Today we need to make changes and simplify this procedure as much as possible in order to give the parliament a real opportunity to control the President, regardless of the names,” Oksana Syroyid said.